By J. Adam Wagner, DC, CDTP; a leading expert in integrative & multidisciplinary pain management in Central Bucks County, PA.
Often I treat patients who are living with a challenging condition known as “MECHANICAL PAIN SYNDROME”. Some research suggests that many people actually have sufficient strength to overcome Mechanical Pain Syndromes. However, they simply lack the proper programming or sequencing of balanced muscle patterns needed to overcome this disabling condition!!! In other words… correction of faulty movement patterns using Active Therapeutic Movement can, in many cases, restore pain free movement much faster!!! I have used a therapy known as “Form Closure” to provide additional relief from the pain and discomfort associated with Mechanical Pain Syndromes for the past 5 years. I have been performing this therapy manually with great success, but, I have found that manual Form Closure has its limitations. I recently discovered a machine, the ATM®2PRO, which takes Form Closure to a whole new level! I am excited and proud to announce that VITAL LINK CHIROPRACTIC has brought this effective therapy to Doylestown. More and more of my patients have discovered the amazing benefits of both affordable, and state of the art Spinal Decompression Therapy and Active Therapeutic Movement . At Vital Link, we don’t treat patients with a “cookie cutter” approach, but address each individual problem with a unique course of treatment. 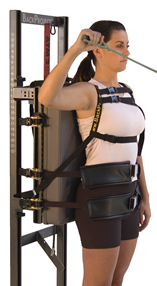 By combining joint repositioning, with compression, almost all movement impairments can be normalized within seconds. The restoration of normal movement is an indicator that the CNS (Central Nervous System) has completely transitioned. Combining active movements in the neutral range in a functional, weight-bearing position, against an isometric resistance, causes the CNS to memorize the normal muscle activation pattern. · Active Therapeutic Movements provide immediate and long-lasting benefits to many back, neck, shoulder, pelvis, hip, and knee sufferers. · ATMs aim to immediately alter symptoms, by affecting the Central Nervous System control. · If you have received Form Closure therapy, you are likely to be a candidate for the ATM. 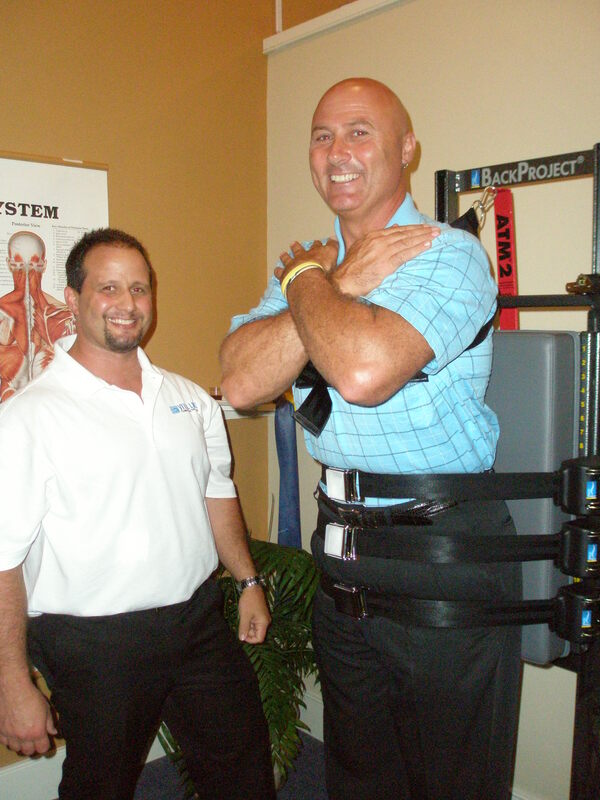 · If you have been a Spinal Decompression Therapy patient, you may also benefit from this complimentary treatment. · If traditional chiropractic care has not addressed your specific needs, ATM may be the answer. · If you are an athlete seeking to enhance your performance, ATM may help you improve your swing, serve, strength and symmetry. VITAL LINK CHIROPRACTIC is successfully using the ATM®2PRO for the treatment of Mechanical Pain Syndromes as an integral part of many of my patient’s care. This amazing therapy is not only allowing me to achieve even faster results for you, the patient, but I can also address a wider spectrum of difficult and challenging conditions with this new technology. The ATM®2PRO allows me to bridge the gap between passive and active care in a more effective manner that delivers relief faster. *The ATM®2PRO will have a special benefit for patients who are already, or will soon be in Vital Link Physical Therapy & Chiropractic’s unique “PASSIVE TO ACTIVE PAIN RELIEF PROGRAM”, with Dr. Kim Fahie Moccia and Dr. Benjamin White. To find out if this therapy is right for you or someone you know, call the office and make an appointment for a complete evaluation, or re-evaluation today! 1 Some of the information in this article was gleaned from www.bryanne.com/ATM.htm. I think your blog is great. Just keep on! I think so, I will be back again.